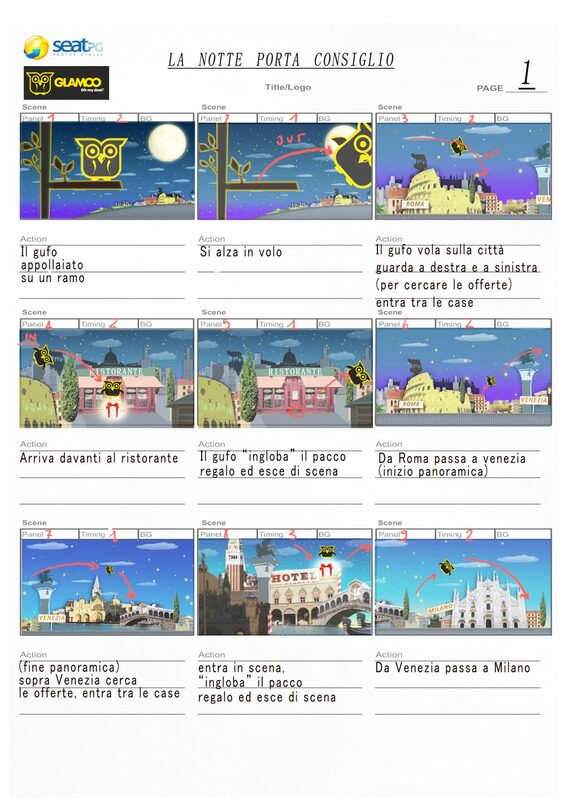 Storyboard for a promotional video animated in Flash. The purpose of the narrative is to show how the app Glamoo works and how to buy coupons with the application. The mascot/logo is a used strategically to lead the narrative, structured in three stages. 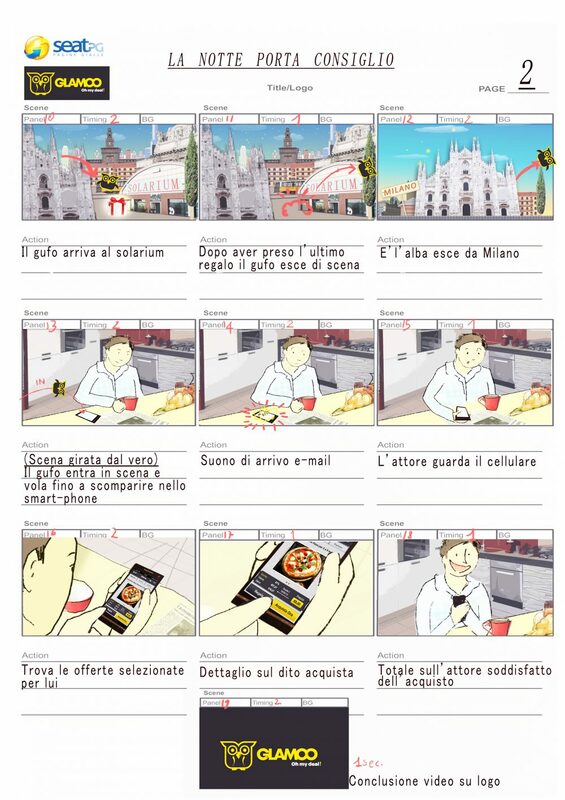 The final images visualize the consumer’s smartphone on which the app is being used.